Executive Mosaic is honored to introduce David Ramirez, president of FireEye‘s global government business, as the newest inductee into the 2016 edition of the Wash100 — Executive Mosaic’s annual selection influential leaders in the government contracting arena. 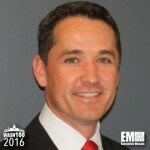 He joined FireEye in 2015 to oversee the network security company’s sales strategy for public sector markets in the U.S., Europe and Asia. Prior to joining FireEye, he worked at the former L-3 Communications national security solutions segment as president of its global sector business and also held roles such as vice president, director and program manager. Ramirez, a graduate of natural resources management at Humboldt State University, has also worked more than four years on geographic information systems. Executive Mosaic congratulates David Ramirez and the FireEye team for their selection to receive this award.